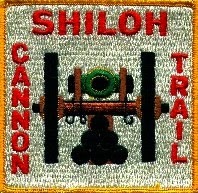 We will be traveling to the Shiloh National Military Trail in Shiloh, TN. and hiking the 14 Mile Historical Trail (SMT1) March 27-29, 2015. Cost is $45 per Camper/Hiker. Shiloh Military Park is the site of one of the largest and most strategic battles during the Civil War. It is located 100 miles east of Memphis Tennessee on the banks of the Tennessee River. The hike will consist of a 14 mile day hike on Saturday, March 28. We will camp at a nearby campground on Friday and Saturday March 27th and 28th and return home Sunday March 29. We plan to leave for Shiloh at 12:00PM, Noon on Friday, March 27, 2015. Please already have eaten lunch or bring a sack lunch for the trip, we will not be stopping to eat. We will prepare an evening meal upon arrival at the campsite. Travel time is estimated at 4.5-5 hours. Bring your normal weekend camping gear and a daypack for water and lunch on the trail. Include light rain gear in case of rain during the hike.